I am writing this to express my utmost gratitude for being able to attend the College Day event at Queen’s Park in April 2017. I was able to create a unique food item to serve to the guests. This consisted of Rabbit Rillette, served on Toast Points with a Spiced Rhubarb Chutney. By being able to make this food product, I was able to practice and hone my culinary skills outside of the regular curriculum. I also quite enjoyed the experience at Queen’s Park itself. I was able to meet many MPPs and college presidents from across Ontario. I even had the chance to hold a conversation and take a photo with the Minister of Advanced Education and Skills Development. She was quite lovely and expressed interest in my future endeavours. Aside from faculty, I made a few new friends from the surrounding colleges, as we could walk around and try each other colleges’ products. Overall, this experience was a fantastic opportunity for me to bridge connections within the culinary industry and I would recommend continuing to do this event in the upcoming years! 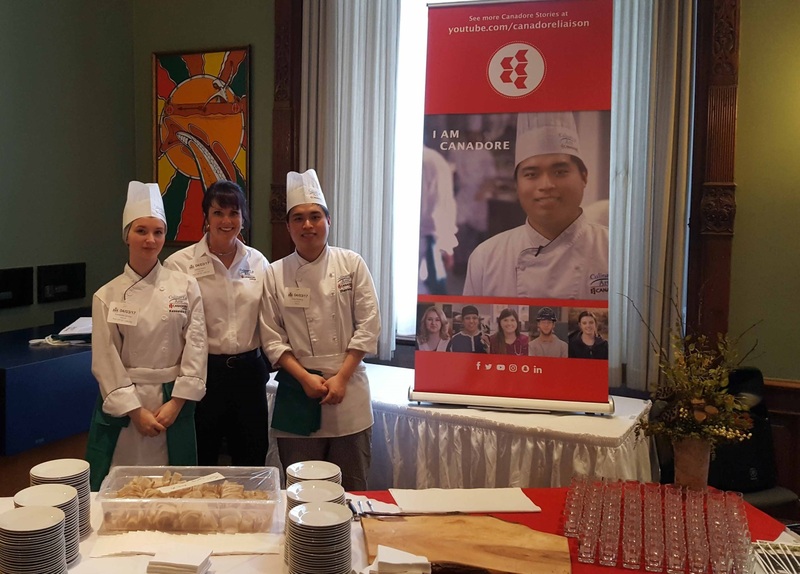 Left to right: Kassandra Symons, culinary arts student; Shelley Busch, culinary technologist; and Jeff Zheng, culinary arts student. 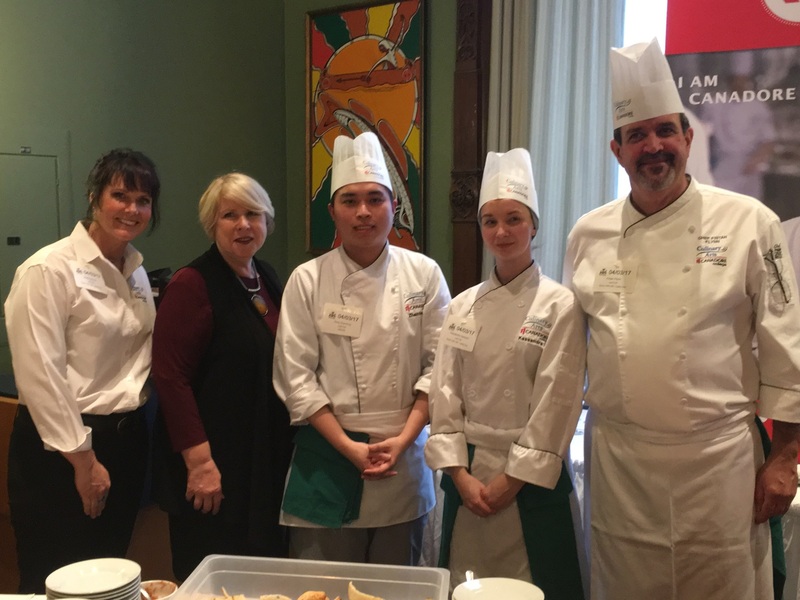 Left to right: Shelley Busch, culinary technologist; Deb Matthews, Minister of Advanced Education and Skills Development; Jeff Zheng, culinary arts student; Kassandra Symons, culinary arts student; and Fintan Flynn, professor and chef.